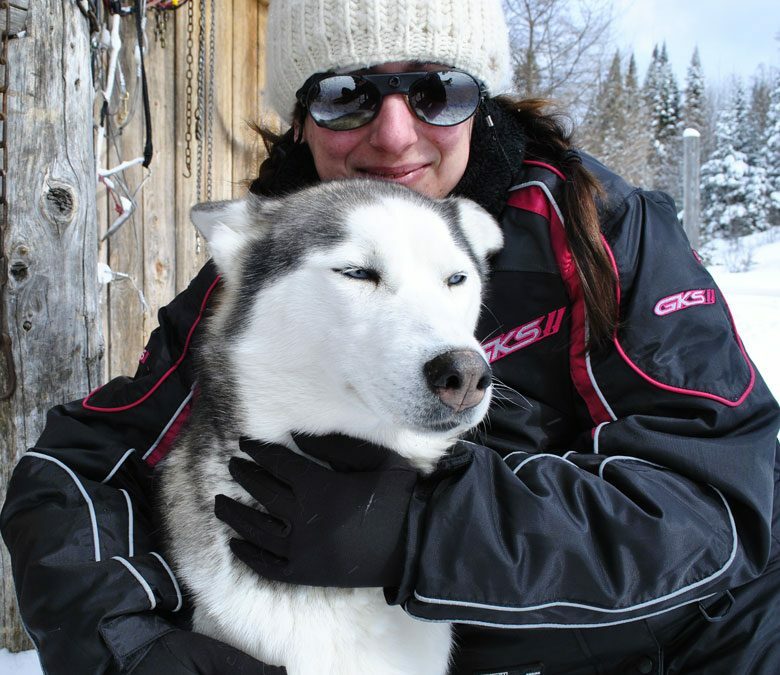 A’crocs adventure stay is a discovery stay, with snowmobile and especially all the pleasures of snow . This stays includes a rental car, which will allow you to keep a great autonomy, unlike “classical” stays. You will enjoy your holidays in a intimate setting far from stays with sightseeing buses ! We will have you discover the winter pleasures by having you visit Montreal, do snowmobile and dog sledding, and also snowshoeing and enjoy snow tubing. When you will arrive at the airport, you will take possession of your rental car. You will drive to your accommodation thanks to the road book we will have prepared for you. We will welcome you to your accommodation and we will tell you the week’s program. Then you will comfortably stay at the inn and enjoy a good comforting meal. After breakfast, you will reach our center located in Sainte-Marguerite-du-Lac-Masson. After signing formalities, we will distribute your snowmobile equipment. Your guide will provide driving tips and rules of safety. Then will be the departure for your first day of snowmobiling on the federated tracks of Quebec. Your guide will carefully lead you all along the way and will customize your ride. You will come back to the center at around 5 p.m. Dinner and overnight at the inn. Driving a snowmobile has no more secrets for you ! During the day, your guide will make you discover amazing trails throughout lakes and forests. Make good use of day breaks to enjoy the scenery and take pictures to mark these memorable moments ! Dinner and overnight at the inn. This day you will discover the village of Mont-Tremblant. You will walk through it to discover its numerous shops and restaurants and even enjoy its wide ski area with a beautiful view of the Laurentides region. Dinner and overnight at the inn. During the morning you will enjoy dog sledding. You will drive your own dogteam and thus become a musher. In the afternoon you will discover the lovely village of St Sauveur and its “factories”. If you want, you will initiate yourself to snow tubing. By late afternoon you take the road towards Montreal. Installation in your hotel (apartment). Free dinner. Today you will discover Montreal, the second world’s biggest French-speaking city after Paris. During this stay you will discover the Mt Royal plateau, the old Montreal and you will even go shopping in its famous underground shopping mall. Free dinner and night in Montreal. Use this day to go for a last round in this beautiful city. Don’t forget to buy maple syrup ! At the end of the afternoon, you will go drive the airport to return your rental car and board your return flight. – Inn : you will be accommodated in a lovely Inn. Half board (breakfast and dinner) You have choice with one double bed or twin. For every stay of three days or more, we offer you a group discount starting from a 4 people group and more ! These prices are for double occupancy, you can choose an individual bedroom upon a price supplement. Please contact us for further information. Guaranteed departure from 4 people. Snowmobile insurance deductible : 2000$ or 2500$ per machine, depending on the snowmobile. We will ask you for a security deposit of the same amount via Visa or MasterCard credit card. The booking will be effective and confirmed upon receipt date of a deposit of 550$ per person.